It’s Saturday afternoon and I’m messing around on youtube. Here are some gems I’ve stumbled cross. First up, what might an honest and upfront conversation with a particular type of student look like? Oh dear, oh dear! Go on, admit it, you smiled, just a little bit…..
Second up: there are a number of these type of videos blowing about on youtube and to say they annoy me is putting it mildly. No, I don’t have a problem with the message. There is a lot of truth in the message. I have a problem with how it’s put across. Isn’t it ironic that the kids are using hand-written cards to get across the message that they want to use more technology? And why are they so glum? Cheer up, for crying out loud, and go read a book. Actually the video reminded me of a comment I read recently (apologies, I cannot remember the site) from a first year undergraduate complaining that they don’t do anything interesting in IT class Instead they spend the time doing the ECDL syllabus. While I commiserated with the student’s position, the student needs to know that syllabi are not always decided by the teachers who deliver it, quality control procedures typically mean that a syllabus cannot be deviated from much, what one student considers boring is highly stimulating to another, and finally, ECDL is a good foundation in IT. A problem is that ECDL might not been studied by all students in their prior learning while others proudly show off their certificates. This causes particular problems for a teacher – what do you do when the majority of a class have already done all the material while it’s brand new for a sizable minority – without causing feelings of inferiority / superiority, without operating double standards, etc? Third on the list: I quite like the ideas in this one, even if the whole thing is meant to be a parody. The iPaper is an interesting idea in and of itself. Fourth is another futuristic one. This one takes a pot shot at the nonotechnology movement. How small can things really get? Have we reached the practical limits on size? Or, the more likely scenario, are there applications out there for tinytech that we are still exploring – those applications are just not the ones we already have? And, finally, a century of educational technology chronicled in one youtube video. The early part of the 20th century had the radio, gramaphone, and the silent / talkies movies but not all educators used them. Then along came WW2 and things really sped up technologically but to what extent did the tools make it into the classroom? By the time the 1970s calculators were the cool learning toy of the day. Yet, as I recall, it was to be many years later before students were allowed use them in exams. Scroll on further and you have youtube and Facebook and a whole lot more social media, and many educators don’t use those either. The lesson: new media, its applications and levels of usage are relative to the time. Technology has never really had a fundamental effect on or caused a radical overhaul of how school/college based learning and teaching takes place. It’s still predominantly desks and chairs and a teacher delivering. New technology comes along and supplements or complements what’s already there. As tools (Sony walkman, anyone?) go out fashion they are replaced by others (Apple ipod, anyone?). The words educational reform have been heard for years and years. Technology has been changing and evolving for decades. Yet there hasn’t been any fundamental change in how teaching and learning takes place. Is this a good thing or a bad thing? What’s it like to be a 3rd level student? Every now and again, large scale surveys are released promising to tell us what life is like from the other side of the desk. The latest such study comes from the Times Higher Education. By and large, these studies tend to tell us more or less the same thing every time they are carried out. In essence, students need to feel they belong. They need to fit with campus life, or at least the aspects of it that are important to them. This might be provision of a well-stocked library, a vibrant students union/ society, an accessible program director, a top-class sports arena, or a chess club. Whatever it is, it contributes to students feeling that they are part of a community. All the criteria THE mention concern sense of community and sense of belonging to that community, or some aspect of it. I find it interesting that the report mentions a distinction between full time students, part-time students and international students. From my experience, these are three very different collectives, with very different priorities, and looking for very different things from their chosen academic community. Part-timers come in the evening time when the facilities tend to be limited. They tend to have less time to explore them anyhow. They are more likely that the other groups to turn to each other and their lecturers for assistance needed. Full timers have more time to immerse themselves in the wider aspects of campuslife. International students, unfortunately, have GNIB (that’s the Garda National Immigration Bureau), language and cultural barriers to deal with before they can even begin to think about the more relaxing and social side of academic life. This group have the biggest challenge. The academic and social/cultural life they find themselves in can differ radically from what they are used to in their home countries and can take some getting used to. As an example, I know the Indian students have settled when they stop calling me ma’am and call me by my first name. This dilemma of how to address a lecturer is something that’s not even on the table as an issue for domestic students. The international students are the group most in need of the safe-environs of a supportive community where they can relax and let their guard down. I would like to see a large scale study that looks at the breakdown of factors contributing to “the student experience” from the perspectives of these 3 groups. I imagine they are very different, even with students in the same class or studying the same course. One student’s positive experience is another student’s nightmare. Take, for example, the “class discussion”. Unless they are feeling very secure in the class environment Asian students are slow to get involved in class discussion. American students tend to get bored unless there is something to talk about, regardless of whether they barely know their classmates or not. Having a combination of both groups in a classroom poses some interesting challenges for the lecturer. The quality of lecturers / lecturers featured as a criterion in the THE study. There was a time when being a good lecturer meant showing up to class in time, “standing & delivering”, and marking your essays and exams. This is no longer the case. There are so many competing strands to the “good lecturer” these days that keeping up is a fun challenge. This is a topic more deserving of a whole set of postings on its own …. one I will come back to later. I reckon that knowing and having passionate views on your subject matter, and then getting that across to those for whom this content is new is no longer the key challenge. The more critical make-or-break component is engagement, engagement and more engagement. Given the wealth of domain content information available today, reaching out to students is more important than providing them with that information. It makes my day when a student complements me. The reasoning behind the complement almost always arises from engaging with the student(s) in a positive way. This can be anything from an encouraging smile to taking 10 minutes out to explain a concept, or even a firm “why were you not in class yesterday”. Recently I had a student come into my office, start talking about a problem he was having. He talked about the problem, then he begin to sort out his dilemma, followed this by identifying holes in his solution, then plugging those holes, and then he left. He gave me little opportunity to do anything more than say “hmmmm”. He called back later in the day to thank me for listening. Talking, listening, engaging, it’s all part of the lecturer’s experience as much as it is the student experience. What does “higher education” mean? What do you think of when you hear the term “academia”? When someone mentions a higher education college or university what do you think of? What answers did you come up with – learning, teaching, students, ………….. or research? Apparently, by focusing on the teaching aspect, I’m not up there in the valued and appreciated realms. The Times tells me that ‘driving excellence’ is in research and not in teaching. Generation of new knowledge carries more status than the joy of passing on this knowledge to others. Who decides this, who’s calling the shots? The UK HEA seems to suggest that senior managers in a third level institution care a lot about teaching but their academics don’t seem to believe them, citing promotions as being very much driven by research achievements. Who is doing the learning – the academics in their research. 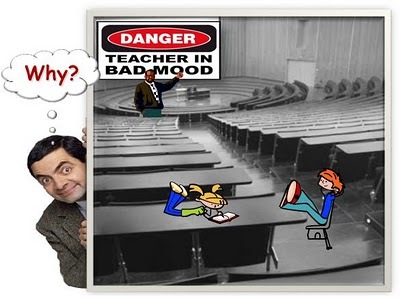 Who’s doing the teaching – the academics when they can squeeze it in. Where do students fit in? Knowledge and pushing the frontiers of uncovering and discovering knowledge need to be constant and research is the way to do this. On the other hand, where do researchers begin their learning – by being students in a class of fellow students. If they didn’t have this opportunity would they have become successful researchers?If their lecturers didn’t pass on their learning and research achievements to them, would they have thrived as researchers? Its time to pass learning back to the learners. Teaching must be valued and considered on par with research activities. Otherwise, we risk losing out on budding researchers of the future, and why would we want that?